How did your week begin? OMC! Red dot! Red dot! Now, where did that thing go now?? 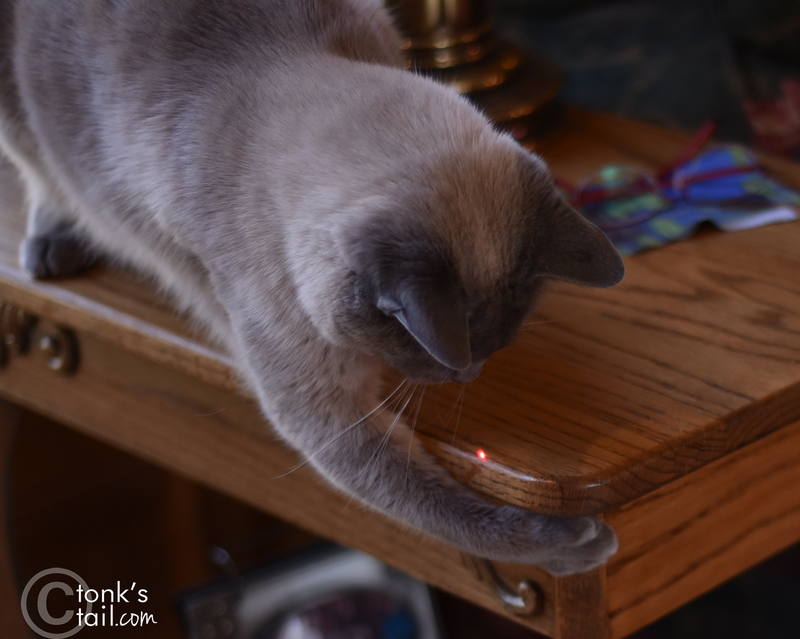 Actually, Bentley's started out chasing that same red dot! My human feels like Maxwell some Mondays! Brother Simon is having that same problem! That red dot- no one has ever caught it. Don't give up...you'll get it one day!!! 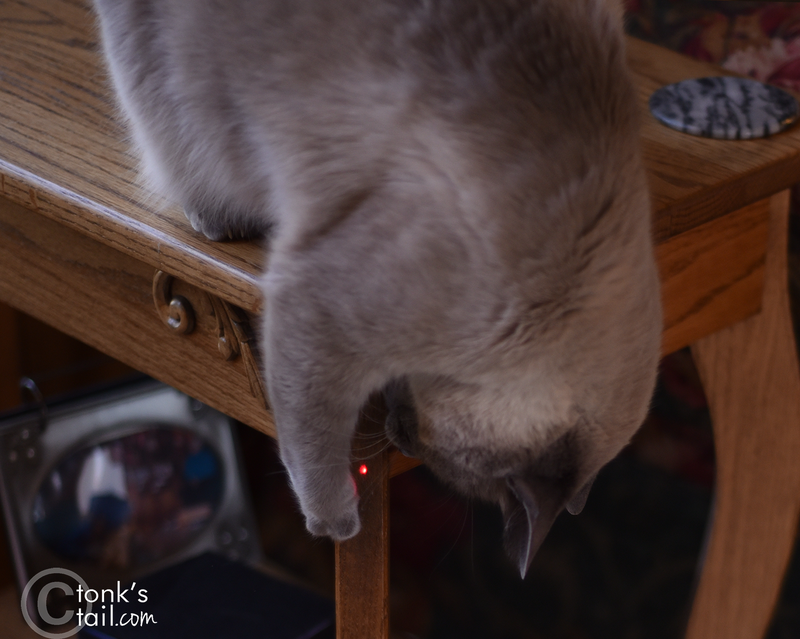 The red light mousie game! Did you catch it! It can be so elusive, can't it?! I go after it from time to time here, but it is a lil' sinker mouse that can climb up walls & go on ceilings, too! Does yours do that, too!! Wow your kitty coat is so thick and silvery pretty! Mew Mew! 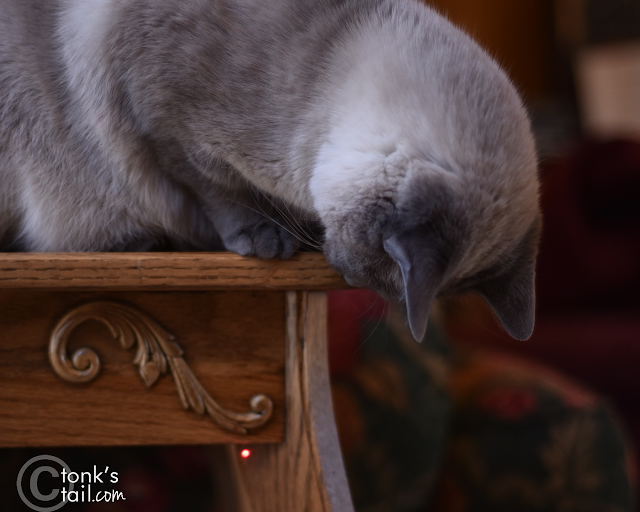 Oh that sneaky red dot! 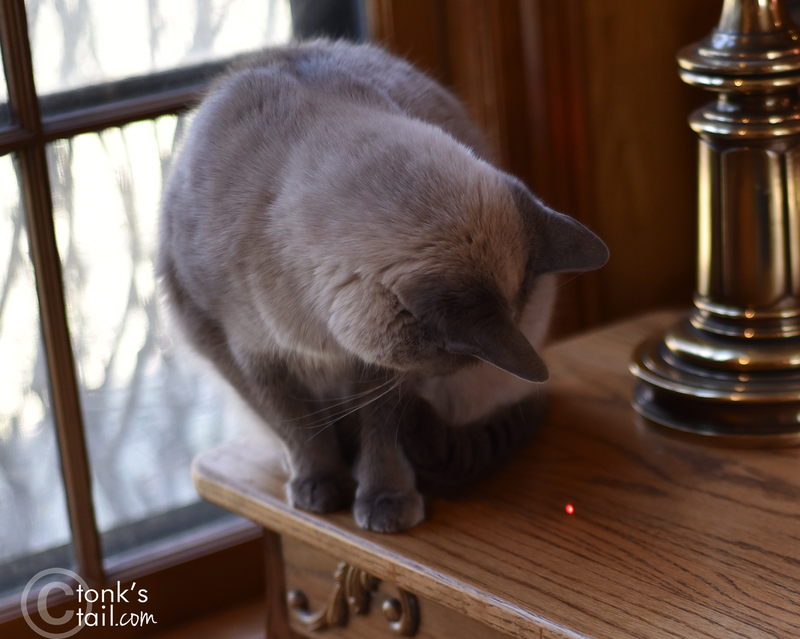 That red dot is evil! At least he looks cute trying to catch it! Ugh. That red dot! Sometimes our mom and dad feel like they're chasing that thing, too! My sisters and cat bro Bert tell me that red dot is so hard to capture! Looks like you ALMOST got it, Maxie! I mean it slipped away by only the slightest margin. I bet today is your day to catch that annoying dot! Uh-huh...we kniw all about that red dot...it is too elusive...even when we think we got it, well we didn't. It can sure make Minko jump though. MOL! ARG the elusive red dot!